Everyone has a dream to get the flawless and glowing skin. If yes, then we are here with the 16 best herbal DIY homemade face packs for flawless and glowing skin. You can find out the many cosmetics with the promises of giving glowing and brighten skin but all they are filled with chemicals and can affected your skin directly. So you should try natural herbal DIY face pack which given below. These are without any side effects and easily available at home. Keep reading to known in brief about these. Raw milk and coconut DIY face pack is the very effective natural solution to get the flawless and glowing skin. It works as a natural cleansers and ultra hydrating for skin. Raw milk and coconut herbal face pack helps removing the dead skin cells and improves the brightening and glowing of your skin. Gram flour is also popularly known as besan. The besan and almond oil natural DIY face pack helps to open the clogged pores of skin and beneficial for overall skin health. You can easily find these ingredients at home and prepare easily to get the brighten, flawless and glowing skin. Turmeric and Lemon herbal face pack is one of the best natural way to get brighten, glowing and flawless skin. Lemon contains vitamin C that helps reducing the dark patches and dark spots. Read below and prepare the homemade herbal remedy for glowing skin easily. One more effective herbal natural face pack is Jaggery, rose water and tomato DIY face pack for glowing skin. Jaggery helps to control the excess oil of skin. Antioxidant property of this face pack is beneficial to boost collagen production and improves skin complexion. Rose water, lemon and Glycerin, all these are very beneficial for your skin health. The remedy prepared with these will be helpful to get the brighten, flawless and glowing skin. Glycerin is helpful to hydrate your skin and prevents from dryness. Rose water helps to maintain the pH balance level of skin. Lemon juice contains antibacterial and antifungal properties which work to brightening the skin. Spinach is green leafy vegetable which contains vitamins and minerals. Sandalwood powder is well known natural remedy for skin health. Honey is also very good ingredient for skin. So if you prepare the fee pack with all these three natural ingredients then this herbal pack helps to brighten, and glow your face. Spinach and sandalwood face pack is beneficial to reduce the dark spots and blemishes as well. Tomato is also one of the best natural remedy for your skin. Tomato contains citric acid that is helpful to reduce the scars, dead skin cells and blemishes. Sandalwood powder is also helpful to treat acne and pimples. Aloe Vera is most popular natural remedy for skin health. Fuller’s earth is also very popular with the name multani mitti. Fuller’s earth is helpful to brighten your skin and reduce the oil, dirt and dead skin cells. Yogurt contains antioxidants property which reduces the blemishes and acne. 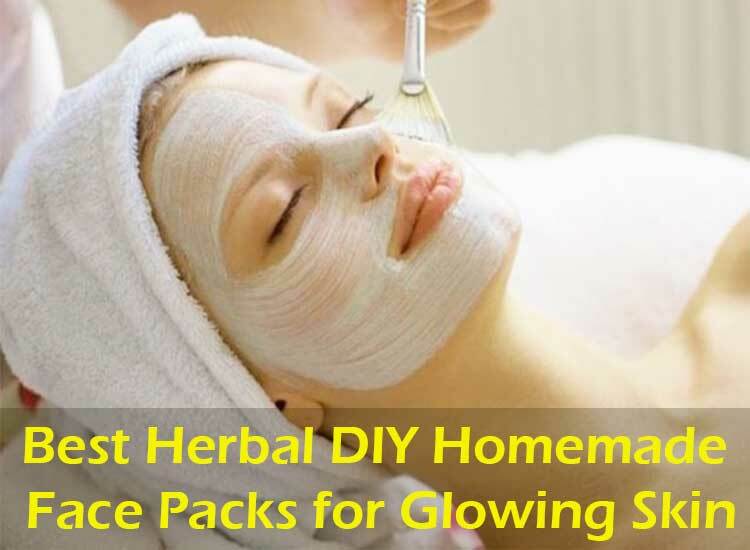 Prepare this herbal face pack at home and get the flawless and glowing skin. Neem and basil leaves both are proven natural ayurvedic remedy that is very effective for skin health. Need and basil face pack has anti-inflammatory, antifungal, antibacterial, and antiseptic properties that are helpful to reduce the inflammation and infection of skin. It helps to tighten the skin pores and improve new skin cells generation. Green tea and aloe Vera face pack is great herbal pack for providing brighten, glowing and flawless skin. This pack contains the antioxidants and minerals that are beneficial to boost new cell regeneration, hydrating skin, reduce inflammation etc and make you young. Papaya is also very effective and beneficial fruit that helps to treat several skin issues and provide the brighten, and glowing skin. Papaya contains beta hydroxyl acid, and flavonoids, that are helpful to boost collagen development and reduce the aging effect. Antioxidant properties of turmeric is also helpful for skin glow. Sandalwood and Saffron DIY Herbal Face Pack is very beneficial face pack for removing blemishes and dark spots. Prepare this herbal face pack at home easily and get the brighten, glowing and flawless skin. Lemon and honey face pack is the amazing pack that helps to treat acne, pimples and reduces the dark spots as well. This pack also helpful to reduces inflammation, reduces dryness, and give you the brighten, glowing and flawless skin. Orange peel and yogurt combination is just a magical for your glowing skin. Orange peel contains vitamin C and blemishes removal properties. Honey and yogurt also well known ingredients for skin health. Prepare the natural face pack at home with these ingredients and get the glowing skin. One more herbal face pack is Banana, lemon and baking soda DIY pack for glowing skin. This pack provide hydration to your skin and repair the damaged skin cells. It also beneficial to treat the wrinkles, fine lines, dark spots etc. Sugarcane juice and honey both are very useful, beneficial and effective natural ingredients that are helpful to provide the glowing skin. These contain antioxidants property that helps protecting the skin. This DIY remedy of skin will be prepared easily at home. In this post you have read about 16 best herbal DIY homemade face packs for flawless and glowing skin. All these face pack are without any side effects and easily available. Use these to get the glowing skin and also share with the friends and known ones so that they can also take the advantage of this informative post.